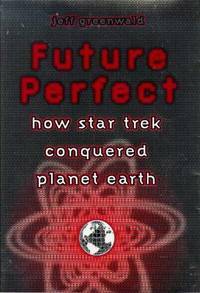 Future Perfect : How Star Trek Conquered Planet Earth (SIGNED). New York: Viking Adult, 1998. First Edition, First Printing 1/4 cloth AS NEW in AS NEW DJ 8vo (8vo (6-1/2 x 8-1/2), 273 pp including Index. Autographed hardbound book is FINE -- Unmarked, Unread, and AS NEW in FINE unclipped glossy pictorial AS NEW DJ protected in a Bro-Dart cover. Signed by the author on the half-title page above red-ink rubber-stamped picture of the Starship Enterprise. The author describes how Star Trek influenced and created the world we know today -- along with many other science fiction books, movies and tv shows that also influenced the world, if to a lesser degree. 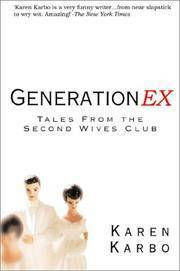 Generation Ex: Tales from the Second Wives Club. New York: Bloomsbury Publishing PLC, 2001. First U.S. Edition Hardcover 8vo (5-3/4 x 8-1/2), 235 pp. Book is FINE - unmarked, unread, and AS NEW (except for small remainder mark on bottom page block) in FINE pictorial dj (with slight shelfwear smudging. (h) Ms Karbo's wirting is witty, charming, and perceptively penetrating. New York: Bulfinch, 1997. 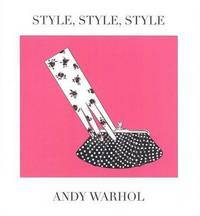 First Edition, First Printing Pictorial Cover FINE in FINE DJ 16mo (5-1/4 x 6-1/4), 78 pp including Source of quotes (All as said or penned by Mr Warhol), and identification of each of the 70 illustrations. (h) Book is NEAR FINE to FINE in a FINE DJ protected in mylar DJ cover. No marks, rips, tears, or folds. 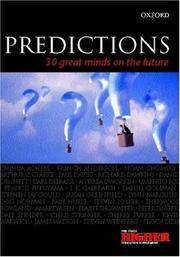 Predictions : Thirty Great Minds on the Future. New York, Oxford: Oxford University Press, 2000. First Edition, First Printing Cloth AS NEW in NEAR FINE DJ 8vo (5-1/4 x 7-1/2), 328 pp with Index. Small 8vo Hardbound book AS NEW in black cloth w/silver type on spine, glossy pictorial DJ is VG+/NF with only some bumping on the top of the front. 30 Essays looking ahead in time to possible realities from a variety of major thinkers, scientists, and philosophers (e.g., Noam Chomsky, Arthur C Clarke, Carl Djerassi, Umberto Eco, Steven Pinker, Peter Singer, Steven Jay Gould, J.K. Galbraith and others). Gods Mongrels and Demons: 100 Brief but Essential Lives. London: Bloomsbury Publishing PLC, 2003. First Edition Cloth As New in As New DJ 8vo (6 x 8.5), 438 pp w/ Index. Book is UNREAD, AS NEW in AS NEW DJ. True First Edition, published in the UK by Bloomsbury PLC The wonderful premise if that the evolution of society owes its progress to the weirdos and oddballs who live in and out of the edges of acceptable society. Great stories. London: Bloomsbury Publishing PLC, 2003. First Edition Cloth As New in As New DJ 8vo (5.5 x 8), 292 pp including Index, End Notes, and Selected Bibliography. Hardbound book, AS NEW in AS NEW DJ. True First Edition, publishing in the UK by Bloomsbury. Shipped from the USA. Whatever it is about that golden flag of hair, it's been that way to humans as long as history can record. From writers from Ovid to Michael McClure paid homage to it, blondes from Rapunzel to Margaret Thatcher used it as part of their power, and actresses from Jean harlow to Jayne Mansfield fascinated men (and women) with it. As complete and clear a book on the subject as may ever be written. 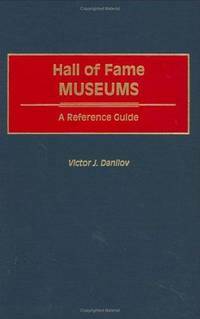 Hall of Fame Museums: A Reference Guide. Westport, CT: Greenwood Press, 1997. First Edition, Second Printing Cloth AS NEW 8vo (6 x 9.5), 276 pp w/ Index, Bibliography, and Appendix -- Halls of Fame by geographical location, either by state (in the USA), or by country. Hardbound in fine blue cloth without dj, as issued, title on cover and spine in gold type on red inset. NEW After some 70 pages discussing the concept and evolution of Halls of Fame, the book is ordered by General/Specific topics (i.e. Sports and Games/Dog Racing) -- Non-Sports (i.e., Aviation, Poultry, Quilting) Unusual (Medical Devices, Presidential Losers, Worst-smelling Sneakers), Informative and amazing. Chapel Hill, NC: Algonquin, 2004. First Edition Hard Cover Fine in Fine DJ 12mo (5.75 x 7.25), 266p w/ List of Relevant Web Sites. Book and DJ -- FINE/FINE. Covers are chocolate brown (of course) with silver type on spine. DJ is glossy and pictorial with partially opened chocolate bar displaying the title. Candy Freak is the definitive book on the subject -- everything you ever wanted to know about what role candy bars play and have played in our lives, whether for pleasure or as a relief from pain, and the evolution of the candy bar in our history. The author began this book by trying to find out what had happened to some types of candy bars that had just disappeared from the market. His explorations took him to the few regional manufacturers still competing with the giant national and international conglomerates. A very personal and moving tale that touches our sweet teeth.